The Afternoon of April 27, 1968. 8 Responses to The Afternoon of April 27, 1968. 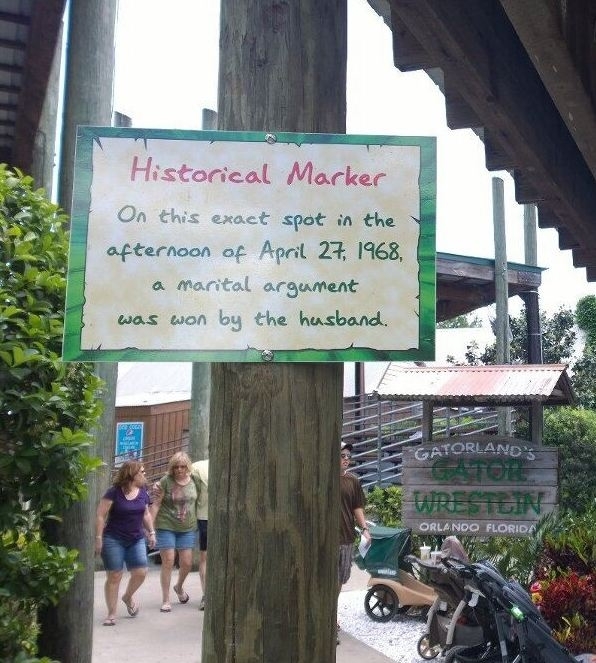 I bet the husband “accidentally” fell into the gator pit at Gatorland that same day! He did and he was never never seen again. The End! A true historical anomaly, great find. It’s a holy mecca of sorts! The word on the street is that this is a one of a kind monument!